When faced with a difficult decision, it is often suggested to “sleep on it” or take a break from thinking about the decision in order to gain clarity. But new brain imaging research from Carnegie Mellon University, published in the journal “Social Cognitive and Affective Neuroscience,” finds that the brain regions responsible for making decisions continue to be active even when the conscious brain is distracted with a different task. The research provides some of the first evidence showing how the brain unconsciously processes decision information in ways that lead to improved decision-making. 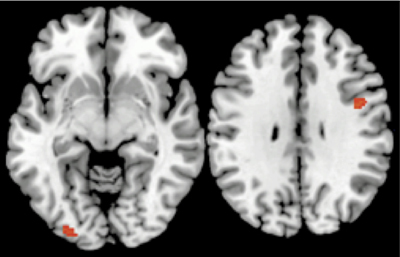 For the study, Creswell, recent CMU graduate James K. Bursley and Northeastern University’s Ajay B. Satpute presented 27 healthy adults with information about cars and other items while undergoing neuroimaging. Then, before being asked to make decisions about the items, the participants had to complete a difficult distractor task — memorizing sequences of numbers — to prevent them from consciously thinking about the decision information. The results included three main findings. First, the team confirmed previous research demonstrating that a brief period of distraction — in this case two minutes — produced higher quality decisions about the cars and other items. But did this effect occur because the distraction period provided an opportunity for the brain to take a break from decision-making and then return to the problem with a fresh look? Or alternatively, does the brain continue to unconsciously process decision information during this distraction period? This research supports the latter unconscious processing explanation. When the participants were initially learning information about the cars and other items, the neuroimaging results showed activation in the visual and prefrontal cortices, regions that are known to be responsible for learning and decision-making. Additionally, during the distractor task, both the visual and prefrontal cortices continued to be active — or reactivated — even though the brain was consciously focused on number memorization. Bursley (DC’12), who joined CMU’s Health and Human Performance Laboratory as a freshman, spent his undergraduate career working on this research and related studies. To support his work, he received a Small Undergraduate Research Grant (SURG) and Summer Undergraduate Research Fellowship (SURF). Bursley also received a Rothberg Research Award in Human Brain Imaging, made possible by Carnegie Mellon alumnus and trustee Jonathan M. Rothberg (E’85), founder of four genetics companies aimed at improving human health. CMU’s Department of Psychology has helped to establish Carnegie Mellon as a world leader in brain sciences. The university recently launched a Brain, Mind and Learning initiative to build from its research excellence in psychology, computer science and computation to continue to solve real-world problems. This entry was posted on February 18, 2013 at 12:01 am	and is filed under Choice Myth, Neuroscience, Video. You can follow any responses to this entry through the RSS 2.0 feed. You can leave a response, or trackback from your own site. Reblogged this on Magenta Maximum Autopsy.